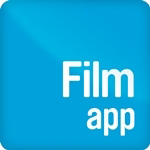 Applications to film in the borough should now be made directly via FilmApp. All applications from 1 April 2019 will incur a charge of £10 to be paid by credit or debit card at the point of application. If you have a shoot at multiple locations over two or more days, please call the Film office on 020 8487 5157 to discuss before you apply. We have put together a guide which details what you need to consider before you apply to film. This includes information on our fees and charges, insurance, parking and use of electricity on shoots.